The second level in the Orbital Oblivion series, Intercommunication is a thoroughly enjoyable space-station themed map from resident Duker, Fernando. This one will take you out to a highly modulated set of orbital platforms, the purpose of which is unknown but probably quite dire! 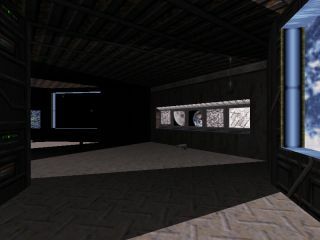 The author has worked hard to produce a highly atmospheric, nicely detailed map and it succeeds in sucking the player into its world for a good fifteen minutes. 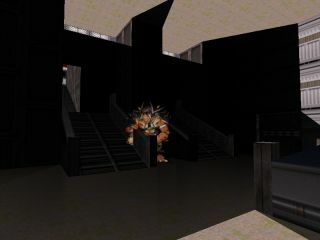 There's a bit of a trap involved in finding one of the three key-cards, the trick is to find an alternate escape route. Effects are done well - the multiple two way trains work perfectly and gameplay is right up there with his best levels. In short, get it if you haven't already! 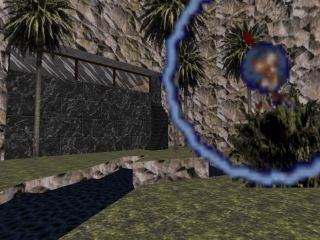 Introduction          : Orbital Oblivion; Level 2. Page generated in 6.2377 seconds.